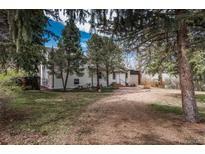 Just steps away from open space, trails, parks, easy access to grocery stores and downtown Denver/Golden. MLS#1656461. Keller Williams Advantage Realty LLC. Genesee Park - The master includes built-ins, a gas fireplace, large walk-in closet, 5-piece bath with jetted tub and steam shower. www.1713sandlilydr.info MLS#3975905. PERCH REAL ESTATE. Canyon Point - With a prime location, you are just minutes from great hiking trails, and a short drive to the best shops, dining and entertainment Golden has to offer. Welcome home! MLS#8843101. Keller Williams Realty Success. 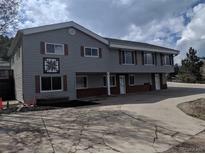 Genesee Park - Can't go wrong buying on this block with this fantastic piece of property! MLS#6046401. RE/MAX PROFESSIONALS. Genesee Park - Conveniently located 30 minutes to Downtown Denver and less than an hour to world-class skiing. MLS#9833283. Keller Williams Foothills Realty, LLC. Come enjoy mountain living close to the city. MLS#2657796. COLDWELL BANKER RESIDENTIAL 54. Genesee Park - Have it all on top of the world! MLS#6835099. COLDWELL BANKER RESIDENTIAL 54.